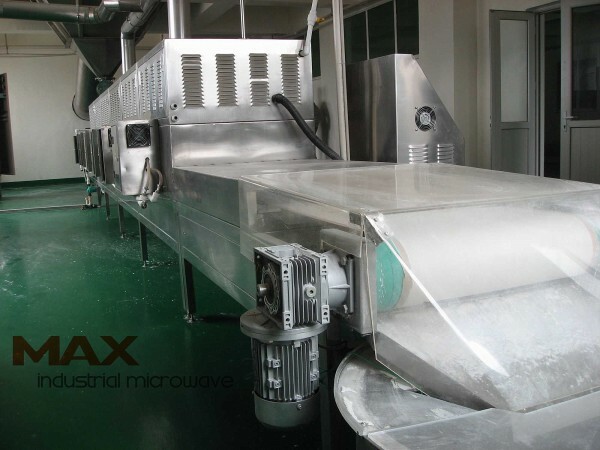 Industrial microwave is a new drying and sterilizing solution to process starch, flour, protein powder, grain powder and other type of food powder products. 1. 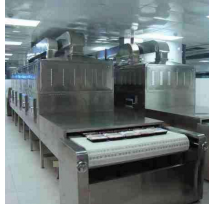 The drying and sterilization process is totally dust-free which improve working environment. 2. Stainless steel material assure food hygiene. 3. Advanced manufacturing technology with smart PLC. 4. Small footprint with simple operation manual. 5. Stable working performance and less down time. 6. 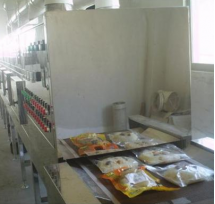 Drying and sterilization function simultaneously works on the powder material. 7. Could apply to modify the starch, the machine is also used to modify the starch when we change the processing craft. Modified starches are used in practically all starch applications, such as in food products as a thickening agent, stabilizer or emulsifier; in pharmaceuticals as a disintegrant; or as binder in coated paper. They are also used in many other applications. Compared to traditional heating solution, microwave heating takes less time, simplifies processing and reduces the cost. 8. Minimize the moisture content under 1%. 9. It could be customized to different capacity machine to process a variety of volume. Copyright © 2015.MAX Microwave Dryer All rights reserved.